hey, everyone! i'm watching World's Dumbest... hardly surprising, i just watch the same episodes over and over :) it's SO FUNNY! i just bought this beauty today, Revlon Top Speed Cherry. i love the clearance section at Target! 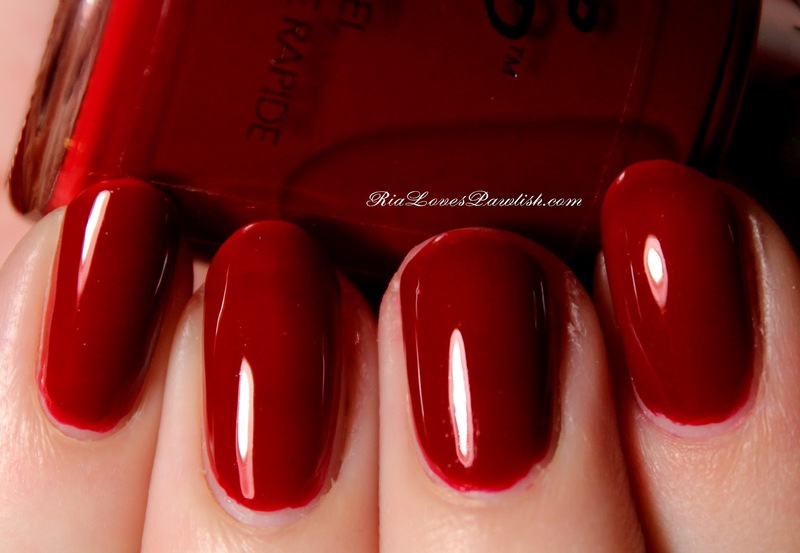 the color is this gorgeous deep red cream with cool undertones. it does not really look cherry to me, though... i think of cherry as being a bit lighter and brighter. i realized after i took the photos that there is a little VNL (eeeeek!) but it's not noticeable in real life... in most lighting. i would definitely add a third coat if today wasn't just a swatchie day! both coats were easy to apply and dried fast, my disappoint is the opacity. just a little more coverage would make this a perfect red! i think a good red is always appropriate, no matter the occasiona... completely classic AND classy. two coats Cherry, one coat Seche Vite... shiny, shiny!! 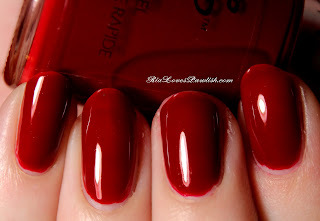 This is such a gorgeous red!!! I love it on you! I love the clearance area at Target also!! You should see me digging to see what polish goodies I can get, lol.